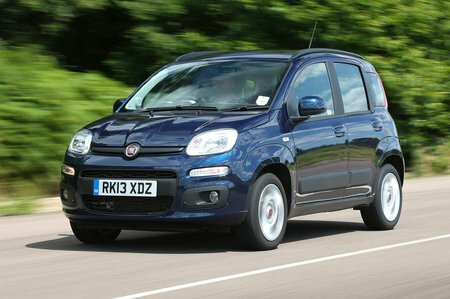 Fiat Panda Performance, Engine, Ride, Handling | What Car? There’s a choice of three engines: a 68bhp 1.2-litre petrol, a 0.9 Twinair with 84bhp and a 74bhp 1.3-litre diesel. The 1.2 petrol is no ball of fire, but it’s fine around town. If you regularly head beyond the city limits, then you should consider the diesel; it feels stronger and more flexible than the petrol, so is better at keeping up with traffic on faster roads. Twinair versions have a fair bit of mid-range muscle, but are gutless at very low revs and breathless at high ones. 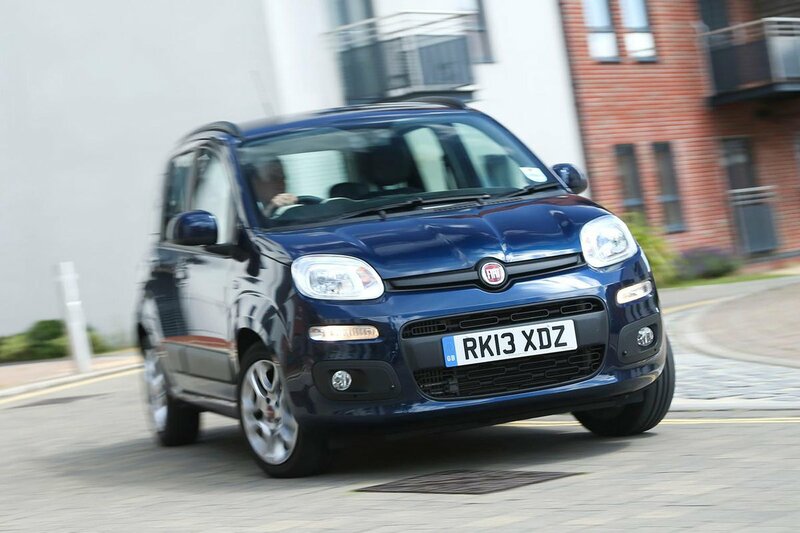 The Panda is built for the city, and here most versions absorb bigger bumps and ruts well enough; this is especially true of the high-riding four-wheel-drive models. It never feels completely settled at higher speeds, however, where its body tends to bob up and down. That said, it doesn’t lean unduly in corners. Light steering is great for parking, but it’s also vague, which makes it difficult to judge front-end grip at speed. The 4x4 versions are as capable off-road as many bigger SUVs, so they make a great choice if you do need to venture off the beaten path. Refinement isn’t great, however. The diesel engine becomes noisy when worked hard, and the 1.2-litre petrol also makes itself heard when revved, although the noise it makes isn’t unpleasant. By contrast, the Twinair engine is noisy at most speeds. It’s not very smooth, either, and sends plenty of vibrations into the cabin. Wind noise becomes increasingly insistent as speeds rise, which means the Panda isn’t as hushed as a Hyundai i10 or Volkswagen Up.